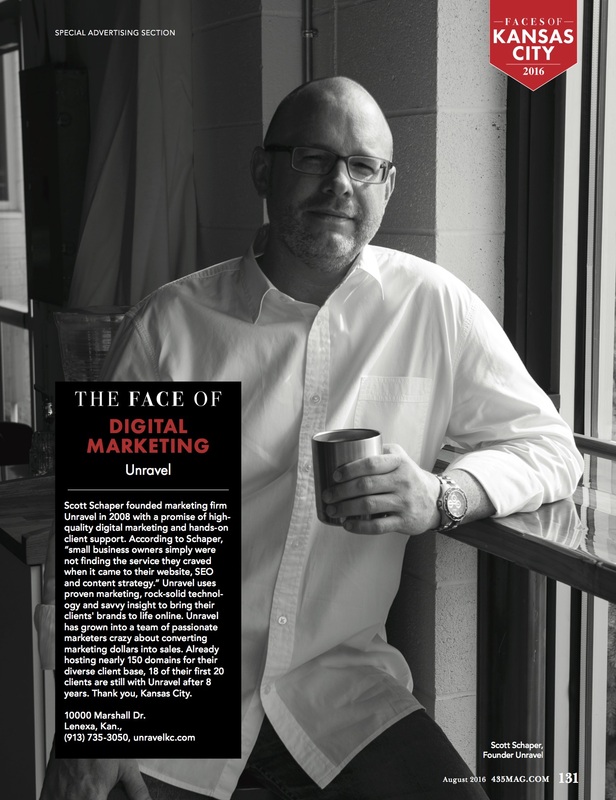 Unravel owner and fearless leader Scott Schaper had the distinct pleasure of being named the “The Face of Digital Marketing” in 435 Magazine’s The Faces of Kansas City edition. The Faces of Kansas City highlights all the industry-leading small businesses in the Kansas City area who are making this city such an awesome place to live and work in. More importantly, doesn’t Scott look cool? You can get your copy of 435 Magazine’s The Faces of Kansas City when it hits newsstands on July 28!